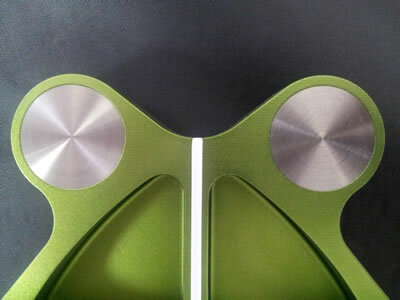 The Frankly Frog features two tungsten weights, split and back to help create maximum forgiveness in the putter. This will help you with distance control and making sure that the ball still travels well, even on mis-hits. Once I got use to the center shaft location it has become easier to putt the distance to the hole. I am averaging 12-14 putts per round on our course. I do believe those putts would be better if our greens were in better shape.